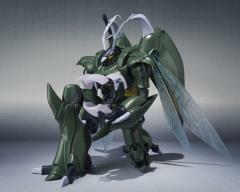 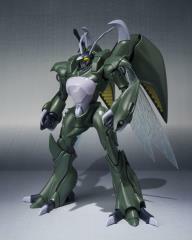 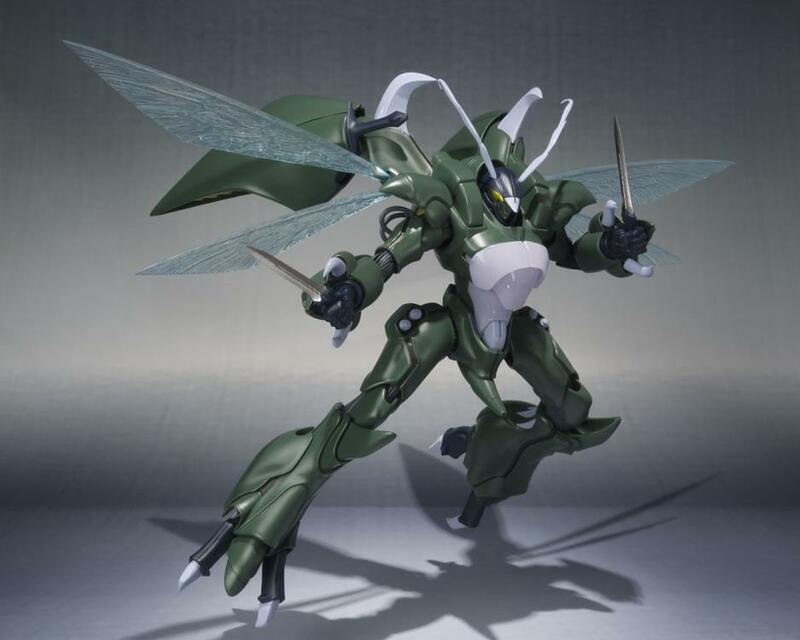 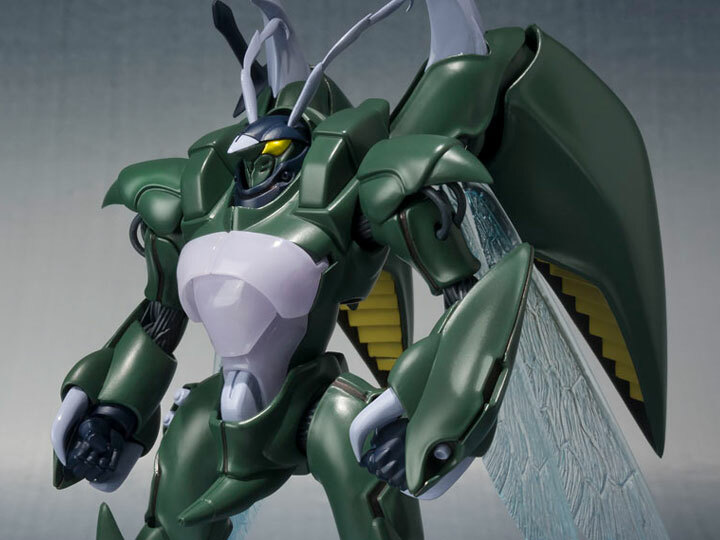 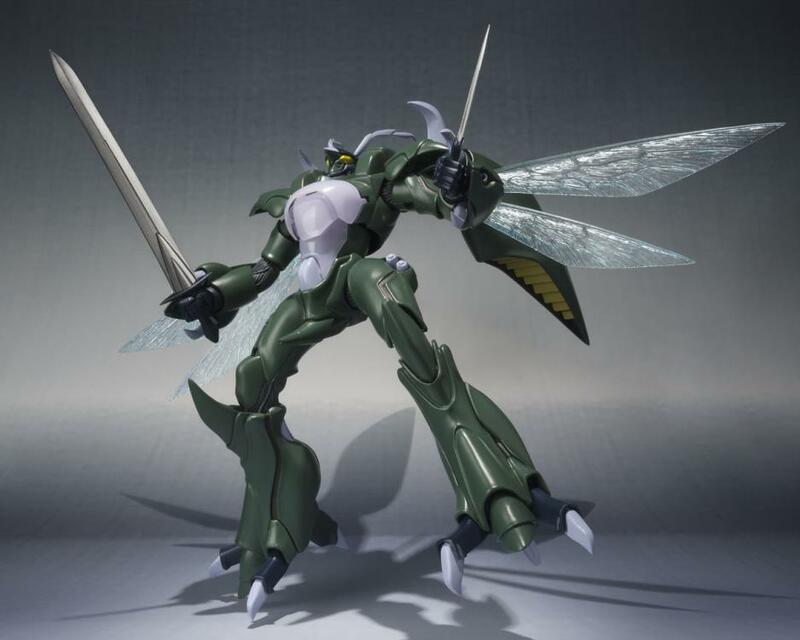 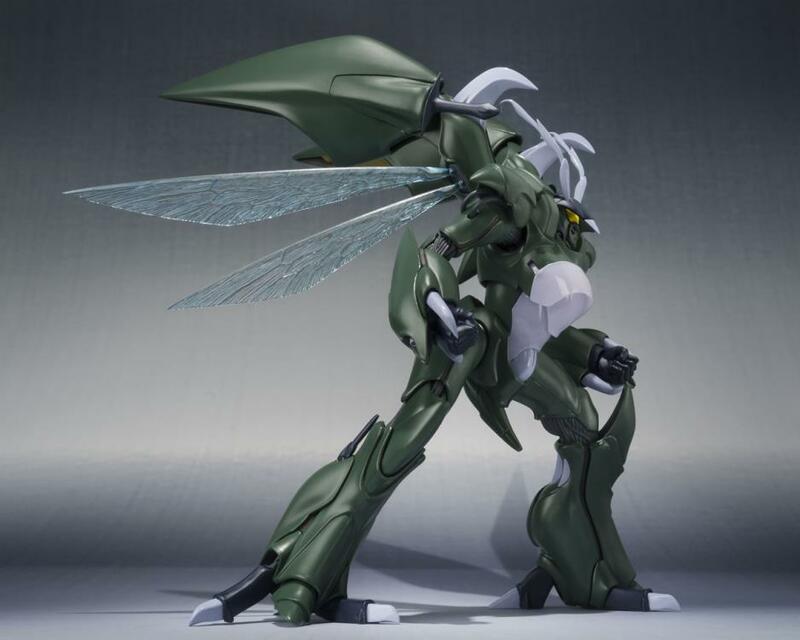 The final version of the powerful Wryneck from Aura Battler Dunbine! 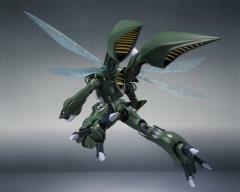 Jointed stands let you display it in distinctive flying poses. Swappable missile pods let you replicate the launchers in open position. 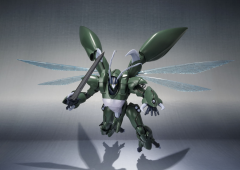 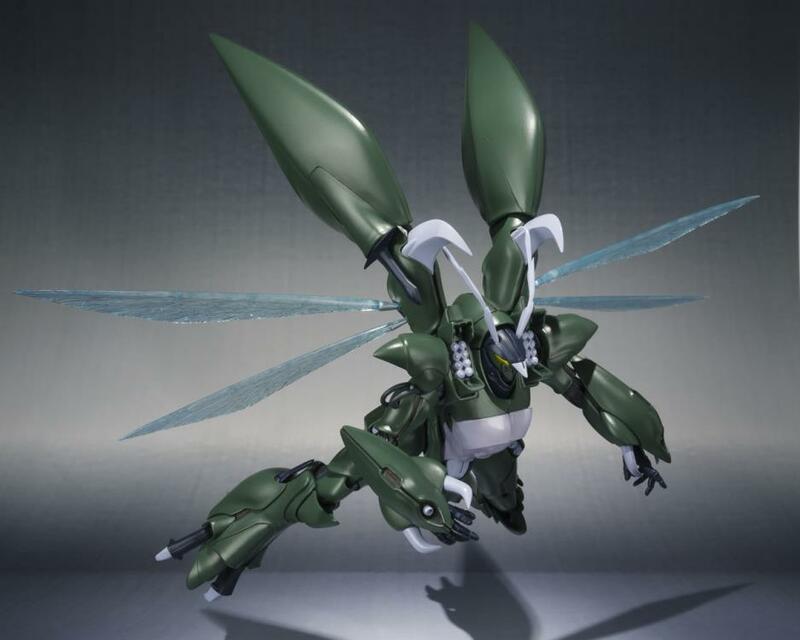 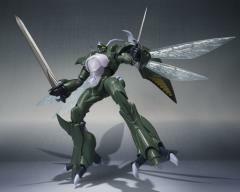 The Wryneck figure includes 3 left and 4 right optional hands, two missile pods, an Aura Sword, two short swords, and a Tamashii Stage attachment joint.